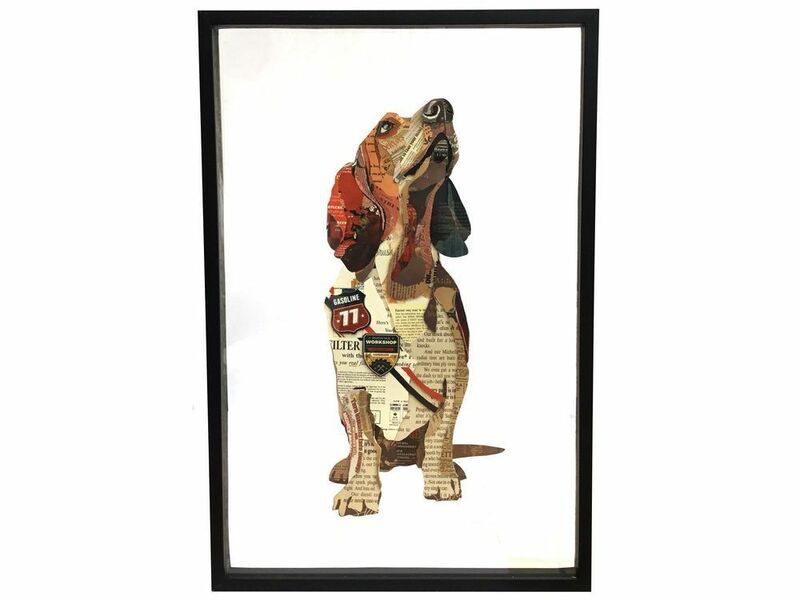 This quirky retro picture of a basset hound oozes vintage character, made from an abstract collage of old magazine clippings and mounted within a transparent frame. The cleverly chosen colour palette perfectly captures the reddy brown coat of this beautiful breed and the typographical sections add an abstract finish. This basset hound wall picture depicts the dog looking eager to please and perhaps waiting for his owner to feed him. 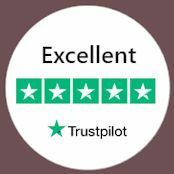 The see through background and slim black wooden frame give a crisp, clean finish to this retro print of a dog and its fitted with a clear glass pane.